Sir Terry Wogan welcomes Engelbert Humperdinck and The Pierces to the studio for exclusive performances. Sir Terry Wogan presents his weekend show, easing you into your Sunday lunch with music and musings. This week he's joined by Engelbert Humperdinck. The legendary star has dozens of albums to his name and huge hits including The Last Waltz, There Goes My Everything and Release Me. 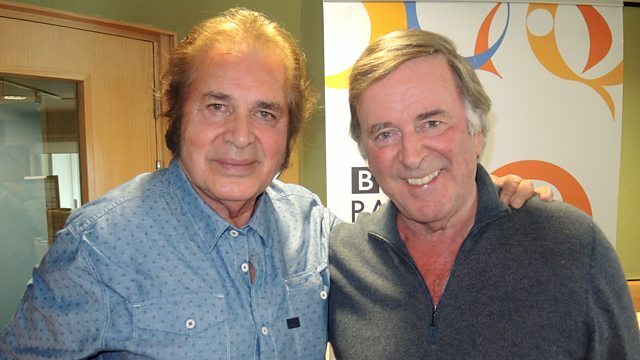 Today he returns to Weekend Wogan to perform live in the studio and chat to Sir Terry. The Pierces will also be singing in the studio today. New York sisters Catherine and Allison Pierce have always been favourites at Radio 2. This year they are back with their long anticipated new album Creation. Don't miss them singing two songs live on the show! The Paul Simon Anthology (Disc 1). The Very Best Of Bananarama. Ella Sings Berlin & Arlen. The Very Best Of Robert Palmer. The Carpenters - Yesterday Once More. The Best Of The Beach Boys (CD 1).